Oreocryptophis porphyraceus coxi is a rat snake species, commonly called the Thai Red Mountain Snake, Red bamboo Rat Snake or Red Mountain Racer, found in mid to upper-level elevations of forested hills in south-eastern Asia, ranging from evergreen tropical to dry seasonal forests depending on the subspecies and locality. The head is small, sharp and squarish, while the colour pattern includes red or orange colors, along with black bands or stripes. A terrestrial species, it has a preference for cool climates that restricts its habitat to hills and mountain plateaus. It is known to be crepuscular, active during the late evenings till night and dawn till late mornings. In captivity, it is one of the most sought-after rat snake species. These rat snakes thrive under cool and very humid conditions. In many occasions founded at altitudes exceeding 800-meters in evergreen moist rainforest or monsoon forests, depending on the subspecies and locality. They spend the most of the time hiding in the leaf litter, under the moss carpet or under rocks and logs. 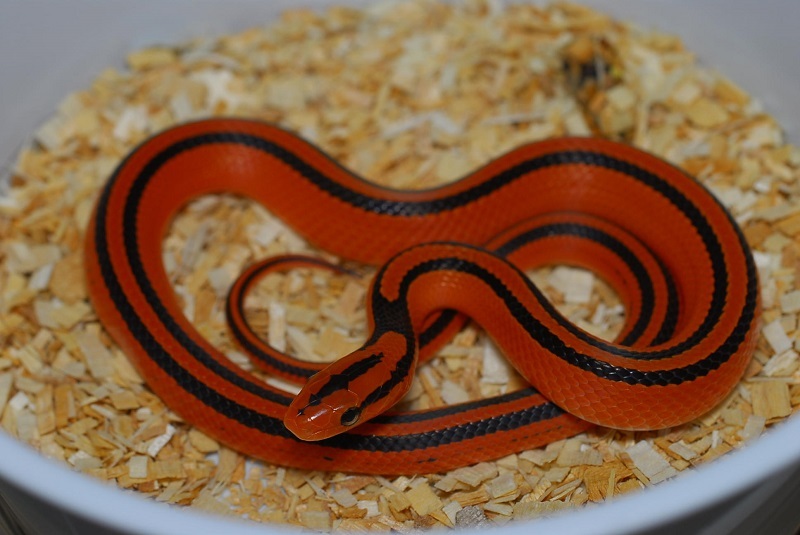 Click HERE for a Thai Red Mountain Rat Snake care sheet.